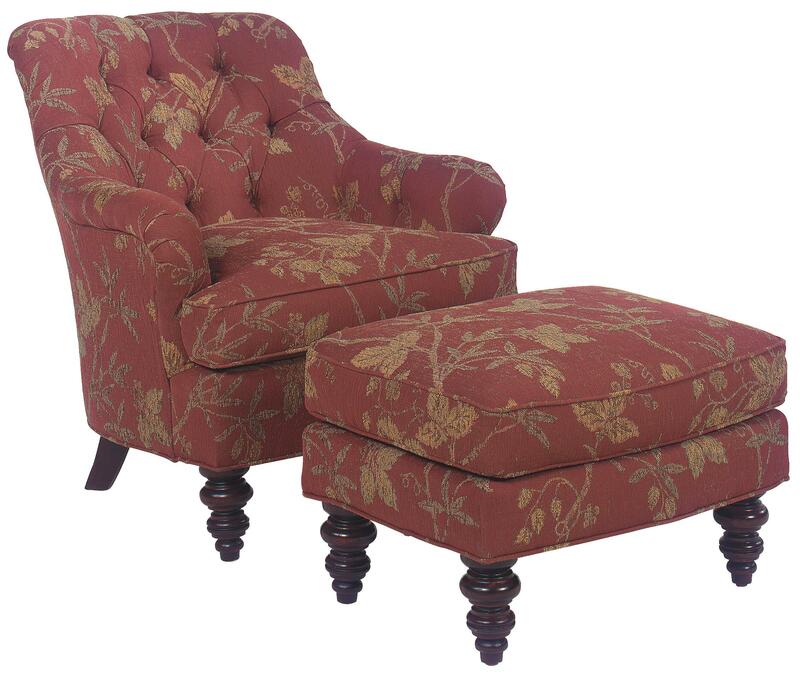 Fine upholstered items like this chair and ottoman set can make an elegant addition to classically furnished homes, whether the style is casual or traditionally formal. While charming details in its exposed wood legs and button tufted back make this set stunning in formal settings, it's comfortable lounge shape combined with fine upholstered fabric, give it the ability to coordinate in casual rooms as well. Complete with a rectangular ottoman, this set serves the duo purpose of allowing you to place your feet up as well as providing extra guest seating without all the bulk of adding an additional chair. The 1141 Upholstered Chair & Ottoman Set with Tufted Back Details by Fairfield at Miller Home in the Punxsutawney, Dubois, West Central PA, Tricounty Area area. Product availability may vary. Contact us for the most current availability on this product. 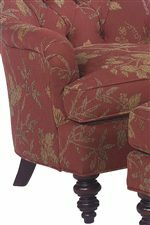 The 1141 collection is a great option if you are looking for Traditional furniture in the Punxsutawney, Dubois, West Central PA, Tricounty Area area.